The founding partners, Mr Arshad Mohammad and Mr Abdul Rahman, both brothers started the Gifto brand in 1968, with an ethnic grocery store supplying the growing local Asian population. Both brothers took pride in supplying the finest quality groceries form Pakistan and India, giving a service second to none. Honesty, quality and to provide the clientele with the best possible service are the foundations of the Gifto brand which has been the formula for our success over the last five decades. We have taken these same principals and applied them at Gifto’s Lahore Karahi. We only source the finest spices to blend into our home-made masala, the freshest vegetables which are simmered into our karahi’s and the most succulent cuts of meat for our house special grills and karahi’s. All our dishes are freshly prepared in our live kitchen. 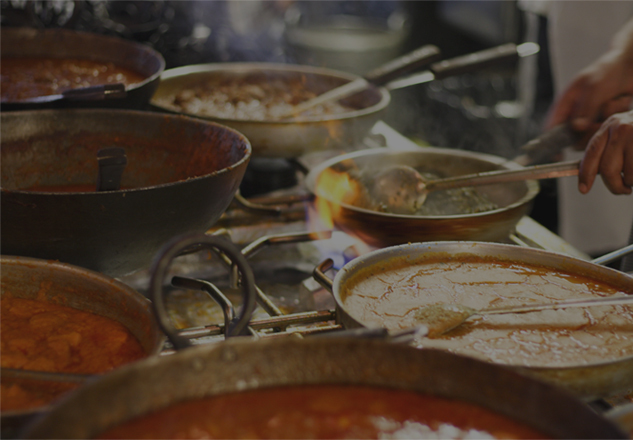 We have an array of dishes to suit every palate and we can make your dish exactly how you like it. Our extensive range of delicious shakes, lassis and mocktails will accompany your meal perfectly. Our trained service staff will take care of you from the moment you walk through our doors until the moment you leave. 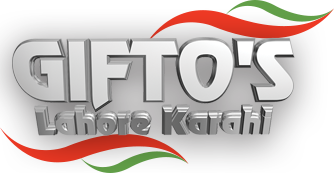 We are perfectionists and we will endeavour to make your visit to Gifto’s Lahore Karahi, perfect. Our clients tell us how our recipes are full of flavour, and consistent every time. The Gifto’s service is attentive and fast as all our food is cooked live in our theatre kitchen. The freshest ingredients, bring to you a taste unlike any other.